It's a Penny Black 'Monkey in our Tree' stamp as well as a set of Spellbinders 'Wonky Rectangles' Nestabilities dies. As usual, just add a comment underneath this post if you'd like to be in the draw for today's prize - or even for just part of the prize goodies (the stamp or the set of dies) same as I used, just say so in your comment. I can split them if you wish although it's one whole prize if that's what you'd like. At the end of all of the celebrations I'll do a massive draw session using Mr Linky - which is on the main snippets post HERE - so you do have to have entered at least one snippets make to be in with a chance :) Maximum of three entries please. Hope you have a lovely New Year's Eve, whatever your plans may be. Ours will be quiet and that's just how we like it! It's the stamp set I used on my snippets card - a Woodware 'Tweet Birds' stamp set with nine little birdies for you to play with, plus a couple of sentiments and two holly sprigs. The birds are about 1.25" in size - would be cute for paper piecing too :) Most importantly, I have three sets of these stamps to give away. As usual, just add a comment underneath this post if you'd like to be in the draw for today's prize of the 'Tweet Birds' stamp sets. At the end of all of the celebrations I'll do a massive draw session using Mr Linky - which is on the main snippets post HERE - so you do have to have entered at least one snippets make to be in with a chance :) Maximum of three entries please. We're still rolling along with the celebrations in the Snippets Playground! - next I dug out some little snippets of green card plus more SU 'Real Red' to die cut the stockings - using the Crafter's Companion 'Christmas Stocking' die set. I love that this little set even comes with the extra dies for the heels and toes! 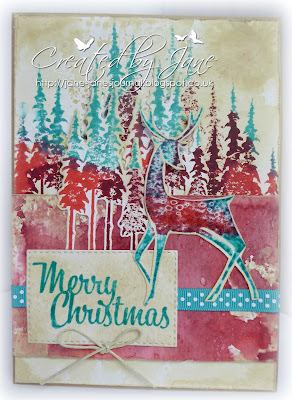 and a Crafter's Companion Die'Sire 'Christmas Stocking' die set. Please just add a comment underneath this post if you'd like to be in the draw for this particular prize - which is all one prize unless you'd only like to be in the draw for either the embossing folder or the die set - in which case just say so and I'll do a second draw for the other part of the prize if you win. But, as usual, both items do make up one single prize unless you say otherwise. At the end of all of the celebrations I'll do a massive draw session for all the prizes using the one Mr Linky - which is on the main snippets post HERE - so you do need to have entered at least one snippets make over on that post to be in with a chance :) Maximum of three entries please. And there's still more prizes to come so keep on checking! Have you lost a few followers? In a nutshell, Blogger have (as we suspected) been tinkering with the Followers service. Hope this enlightens those of you who've been wondering! Hi there! Well, it's a whole week since the Weeks 208/209 Celebration Giveaway started off, and we still have almost a whole week left to run. Loads of you have been visiting to add your snippets makes and also to say yes please to the prizes offered so far. Some of you have already entered three times but I propose to keep the limit at a maximum of three entries to make it fairer for peeps who might not have much free time to craft over the Holidays. Not only is it the Penny Black 'Xmas Crafts' stamp on offer, it's also a set of Lil' Inkers 'Stitched Rectangles' dies. First of all, a MASSIVE Merry Christmas to you all. I hope that Santa has been kind to you - and even more, Parsnip and I wish you a day filled with peace and happiness. For some of us today will be tinged with sadness, 2015 has been a year to forget in lots of ways :( BUT, as a little Playground community I do know that we care very deeply about one another - and that 'virtual' hugs will be spreading all over the World between us. Oh, and of course you can add the flourished JOY either on top or underneath the solid letters, it looks really good either way! Possibly best on top to show off the pretty swirls - with hindsight being 20/20 vision needless to say! You can see how pretty they are in the photo below. These are the names of the prizes today - a Creative Expressions Sue Wilson 'Festive Collection Joy' die set and a Memory Box 'Lindeman Snowflake' die. So girls, the drill (as usual this time round) is to add a comment underneath this post if you'd like to be in the draw for this prize - or even for just part of the prize goodies I used today, just say so in your comment - I can split them if you wish although it's one whole prize if that's what you'd like). Merry Christmas - one and all! It's a Woodware 'Tipsy Tree' stamp set, same as the one I used. The drill as usual is to add a comment underneath this post if you'd like to be in the draw for this particular prize. I've seen this stamp used in lots of different ways and can't understand why I haven't made more use of mine! Now, this is important girls, I possibly didn't make is clear enough but of course you can leap in throughout the whole giveaway and say 'yes please' to as many prizes as you like .... even if you haven't already made and entered your snippets make into Mr Linky at that point in time. Your 'yes please' will certainly be in the pot when it comes to the grand draw, so long as you've entered into Mr Linky by then. At the end of this I'll be using Mr Linky as the focus for the random choices so please feel free to squeal with delight at as many prizes as you wish and say some 'yes pleases' on the way through the festive season - just remember to add at least one snippets make into Mr Linky to be in with a chance. As already said, at the end of all of the celebrations I'll do a massive draw session for all the prizes using Mr Linky - which is on the main snippets post HERE - so you do need to have entered at least one snippets make over on that post to be in with a chance - think I hammered that one home enough huh? :) Still a maximum of three entries please. - red 'dewdrops' on the holly berries. It's the Woodware 'Christmas Date' stamp. The drill is to add a comment underneath this post if you'd like to be in the draw for this particular prize, and it gets better - I actually have SIX of these to give away! I might be wrong here but I just felt that this truly was a stamp that many of you would love to own. If not then I got it VERY wrong! It'sreally striking without too much work/colouring - and won't date (snigger, date, geddit?!) - so I do hope it'll be a popular prize, great for quick and very effective Christmas cards I think. I have to say that there are only two prizes where I have multiples to give away over the next week and a half and this is one of them - but there are some really lovely prizes coming along! Hi there and a warm welcome to the Snippets Playground. Little Parsnip is behind the bike shed dishing out mince pies, cookies, egg nog and mulled wine! I decided that if you can't beat 'em you may as well join 'em and have appointed Parsnip as our Christmas Waiter for the week. Do please help yourself - and do please also let me know if you notice him disappearing into the bushes for a secret swig now and then! 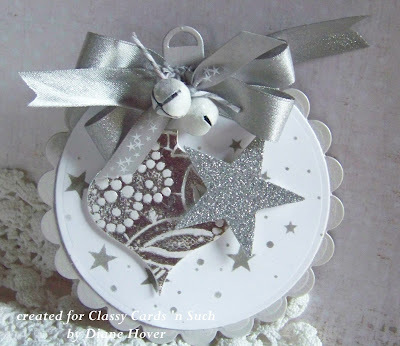 The die I used is yet another variation on a few other Memory Box dies, and what I really love is that it has the lovely curve which is just right for sitting a little Christmas animal or snowman in. Let's move straight onto the weekly picks etc. as there are a few different things happening in the Playground over the coming two weeks and I need to explain what'll be going on - a lot of information to take in so hope you think it's gonna be fun! This amazing scene created by Pat totally bowled me over! And those of you who also visited for a closer look thought exactly the same. The detail is just amazing and this is worthy of being framed (as Bonnie suggested!). Just wonderful! 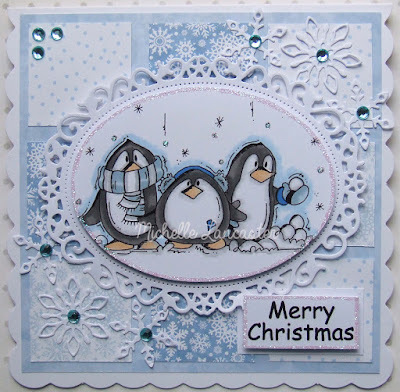 LOVE this card, made by Brenda. Super paper piecing and the dimension is gorgeous. The background was created using the 'acrylic block, inked with water based ink and then spritzed before stamping' technique - something I'd forgotten all about, so one to try again here! Gosh, I seem to be on a roll picking blues this week! 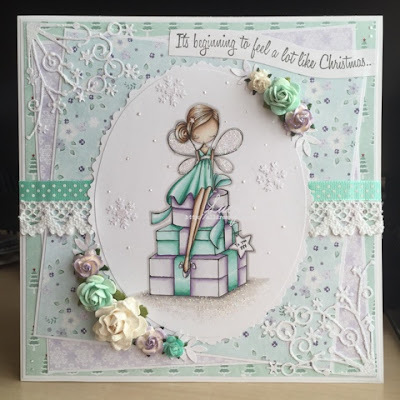 Lynn (Linby) brought this really beautiful card to share with us - loads of snippets used and I really love the idea of the image in a bauble. Draws the eye beautifully as a stunning focal point. Bit of a gasp here when I saw this amazing tag, made by Diane H. It's just perfect in every single detail - and it's silver so I did move slightly away from the blues :) I would just LOVE to find this tag, complete with the darling jingle bells, on a parcel from Santa. Oooops, blue again! I love this wall hanging made by Ileana - if you look closely you'll see that there are loads of wonderful little snippets in this gorgeous creation. I love it! So girls, that's my picks for this week - as always so hard to choose and so many wonderful ideas. My advice is to try and find time to visit as many playmates as possible and see for yourself just how clever they all are! Michelle (Lancaster) of 'Laughing Ducks' - what a great name for a blog! - brought us this really lovely Christmas card. A wonderful and beautifully coloured image Michelle plus I love all the pretty blue LOTV snippets you used. Great result! I also know where you live (of course!) and will post the stamp and Joy frame die to you ASAP. It all depends on whether Len will be near a post box this coming week in the run-up to Christmas. Right, so this is what's going to be going on with the Snippets Playground over the festivities. Some of you already know that I had such fun plans for the Playground over this coming fortnight, before I was struck down in my tracks, sigh. Not only is it Christmas and New Year (aka Holidays) - it's also a whole four years since I took over the Playground, so time to celebrate big time! Having thought it through, whilst lying here hoping for some meds to finally work, I decided that things will go ahead almost as planned as my hands and brain are still in good working order - so far at least! The exception is that I'm not going to list all the prizes here just yet and very possibly won't be able to make a fresh card to showcase each prize - you heard right there - I did say each prize, there are a LOT of them ....... and this is how it will work. Edit: Also, just saying here 'count me in for all prizes that are offered' doesn't count I'm afraid and will mean you don't go into the draw at all - other people are taking the time and trouble to check out the individual posts and prizes and leave comments so it wouldn't be fair to them. As I already said, there will only be the one Mr Linky for all entries - which is at the end of this post of course. I'll remind you where to go to link each time I post a new prize on the blog. Also, I'll run the prize draw using this Mr Linky as a basis for the random number generator and will then look at the relevant post to find out who said yes to the particular prize I'm running the random generator for. As there will be a good few prizes (for example, I have six of one particular prize which will appear in one post - got a bit carried away there!) - I think the odds of winning something could be in your favour! Plus, the prizes aren't 'First, Second, Third' etc - some are higher in value than others for sure though - so if your name pops out again you could very well end up winning more than one prize. I hope this is clear girls? Remember, my Christmas is going to be very different this year and I'm pacing things as best I can. This is the best solution I can think of and with luck and fair play it could work out fine! 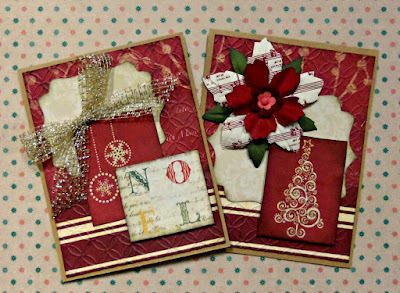 A Memory Box 'Curved Merry Christmas' die and a Lawn Fawn 'Happy Holidays' stamp set. The penguin is similar, albeit a tad smaller, to the one I used today. The Snippets Challenge will run for two weeks and the Playground gates will close at 11am UK time on Saturday 2nd January 2106. The gates will open again at midnight UK time on the same day. Maximum of three entries and please say in a comment if you wish to play and be a possible winner of the prizes. Remember, there's the prize today and others will appear over the next two weeks so keep your eyes peeled. Do say in this post if you only want one or other part of the prize today (the stamp or the die) but both are up for grabs as one prize of course and will only be split if the first name out only wants one or other of the items, in which case I'll do a second draw for the other part of the prize. And please also remember to link back to the Playground in your blog post to be eligible for the draw. Latest in the 'foot saga' - finished the latest course of steroids and from Friday the doc now has me on a pretty high dose of NSAIDS to continue the inflammation reduction, plus painkillers still - and also pills to protect the stomach 'cos of being on anti-inflammatories for a few weeks now (not that I was having problems). On Friday night at long last (after weeks!) I had a full and almost pain free night's sleep (10pm to 7am) - something tells me I needed a really long sleep there! :) Fingers are firmly crossed for increasing mobility (whilst being sensible) in the run up to Christmas. Almost scared to say too much too soon so let's just leave it there. Edit: I waited until Hettie (Sam) had confirmed that I could say here that, very sadly, her lovely Mum passed away on Friday. I know that you'll all want to join in with sending Sam your love and thoughts at such a sad time. This is a recipe I published here almost four years ago. At the time it seemed such a simple thing to be able to cook this - right now it's a bit like a big mountain to climb - but if at all possible I WILL be cooking this over the festivities! In this recipe 'the flavour of of the sweet, spiky drink infuses the ham with spirit of barbecue without being in any way overpowering' - and it also tenderises the ham amazingly well. Just think about cleaning pennies in a glass of the stuff! I confess that, the first time I cooked this, I did so wondering if I was about to ruin a perfectly decent ham - but I think that Nigella Lawson (who incidentally now drives me crazy four years down the line - she's so affected and OTT it's untrue!) did come up trumps and I've used this way of cooking ham ever since! Not a 'food magazine quality' photo! Normally I did try to set a nicer scene but there was a lot going on when I carved this - you'll see the outside of the ham and the goldy brown imparted by the Coca-Cola on the back half of the plate where I've turned the ham cut face down to prevent it from drying out. Mild-cure gammon doesn't need soaking, but if you know that you're dealing with a salty piece, then put it in a pan covered with cold water, bring to the boil, then tip into a colander in the sink and start from here; otherwise, put the gammon in a pan, skin-side down if it fits like that, add the onion, then pour over the Coke. I use a large stainless steel stockpot for this. Bring to the boil, reduce to a good simmer, put the lid on, though not tightly, and cook for approximately 2½ hours. If your joint is larger or smaller, work out timing by reckoning on an hour per kilo. But do take into account that if the gammon's been in the fridge right up to the moment you cook it, you will have to give it a good 15 minutes or so extra so that the inside is properly cooked. I don't go to the time and trouble of glazing the ham (it never lasts long enough here), neither does Nigella most of the time. There are lots of different ways to do this of course, but this ham stands proudly on its own without any more fiddling around. Way back when, before the Playground really took off, I used to write little tales from my past on Tuesdays - and recipes on Fridays or Saturdays (known as Friday Feast or Saturday Supper depending on the day I published the recipe). I was thinking about fish and chips yesterday, triggered by a funny and very apt comment made by Brenda of Floral Fantasies. I subsequently hopped back in here to peek at an old Tuesday Tale, written in February 2012. Almost four years ago now and few of you sweeties did see the post, but many of you didn't so here it is again. Whilst laid up I might even have time to dig back in the memories for some new ones! Our work meant travelling a fair bit and more than once we visited our Northern offices as the Terrible Twosome with glee. Both having Northern roots it was one of the more fun trips on our schedule - err, usually. to our hotel when we spied a good ole Northern fish and chip shop. It was emanating (big word!) the most wonderful smells and so we stopped and joined the queue. Hotel food did become quite tiring and this promised to be a yummy meal. We hopped back into Joy's car and then parked, almost straight over the road, in a very quiet little car park in a disused retail park. Windows down to prevent the lingering smell of vinegar and curry sauce we began to tuck in. Bliss - and then Joy hissed at me 'Don't look too pointedly Di, but can you see what going on over there?'. Next thing I knew, Joy had quietly raised the car windows - then she made her move. 'Look Dumbo' she hissed (there was a lot of hissing going on here I noticed) - 'those aren't packets of cigarettes. And we could be thought to be a drugs surveillance team if they take notice'. Slowly, the asses ears sprouted from my head and preoccupation with a neatly made chip butty was swiftly replaced by absolute terror. 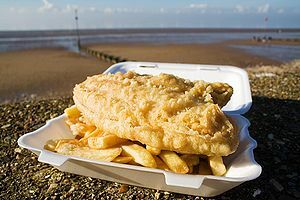 'Hold onto your hat Di - we're out of here' was the next utterance from Joy, followed by her box of fish and chips landing on my lap and the pot of curry sauce being thrust into my hand. And with that, she started the engine and we screeched out of the car park. As it happens, we weren't followed, we did survive unscathed and hid the car round the back of the hotel where we half heartedly finished off the fish and chip supper. The following day, back at the Carlisle office, we discovered that sure enough - where we'd parked was a 'known' local hangout for drug dealers. Ha, known perhaps - but not if you're a couple of innocent visitors trying to have a quiet supper! What a week this has been! Rehearsals for the Nativity Play, Parsnip getting sozzled on rum soaked raisins and me unable to do much except to listen in despair and very occasionally gawp at the total mess in the Playground. It looks as if there's been a full-scale battle out there! Home visit from our new GP yesterday, who did lift me a bit from the depths of despair by promising that this will be resolved and am back on the meds that worked best (I was walking without aids, driving a bit and certainly doing some cooking, ironing and even a bit of crafting) - before the 'rebound flare up' and just hoping for improvement in time for Christmas. The craft room has just been abandoned for now - sheesh, just had to go online and order some money holders for little rellies. Lesson there, make 'em early in future! I was lucky enough to win some fabulous ribbons over there last month, from 'Crafty Ribbons'. They arrived the other day, a beautiful selection, and are patiently waiting on my desk for me to have a play - thank you Brenda! These lovely cards were made by Janis - she who always makes me giggle :) I love the richness and such fabulous use of lots of snippets. And a great tip, if you have glued your panels together and they look a bit rumpled, run them through your embossing machine (Janis used an embossing folder but I've read elsewhere this past week that someone did similar without a folder) to even them out. Tee, hee - of course you must do this when any glue has dried properly, and needless to say before adding embellishments and such. I picked this card by Kathy K because I totally adore the wonderfully shiny gold on her beautifully designed card. And, Kathy gives a lovely explanation of how you too can achieve the same effect so do hop over to find out more. This is such a lovely tag, made by April. 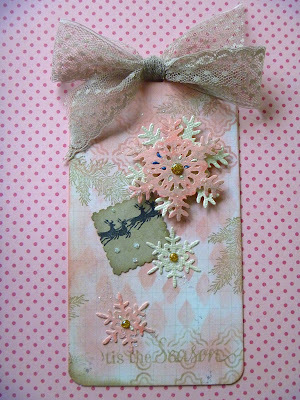 Of course, I adore pink, which goes so beautifully with the taupe - and the reindeer, lovely pink snowflakes plus the beautiful taupe bow are gorgeous! 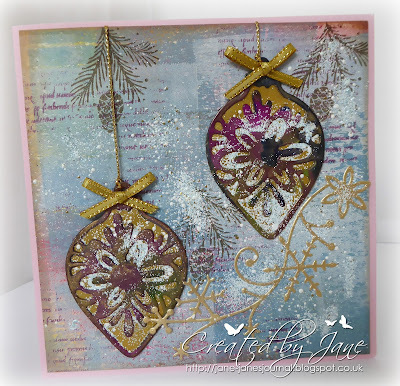 Gold is really doing it for me this week - I really love this Christmas card made by Jane J - wonderful vintage look I think and plenty of snippets used. Oh, and Jane started off with a masterboard - which is so popular on quite a few blogs right now. 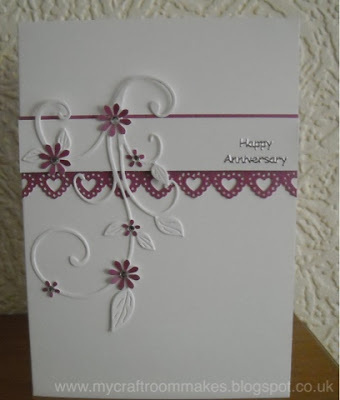 I do so love the clean and fresh elegance of this snippets card, made by Janice. I really do like the colour, leaves and little flowers plus the heart edged border across the card - everything about it is lovely. 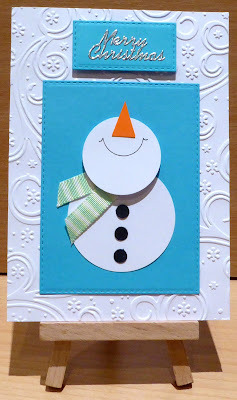 Isn't this card just terrific - and so clever? Carol L made it for her grand daughter and I'm thinking that perhaps, even without a template to use, with planning and care this would be fabulous to CASE! It's a tent style card so the 'belt' runs along the top fold. 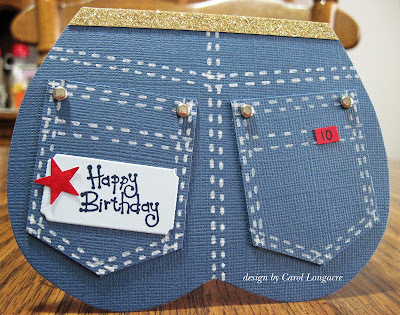 And such a great idea to add the little size tag (yes, the recipient was 10 years old on her Birthday)! And last but certainly not least, our little friend Lucy made this wonderful Christmas card and brought it to the Playground to show us. I just adore the whole card, image. colours and sensational colouring, the die cuts, lace and flowers - all so beautifully thought out and made by Lucy, who many of you will know struggles every single day with severe ME. And I do mean severe. I hear tell that Lucy will have signed a batch of her coloured images and Parsnip will be selling them behind the bike shed (to raise funds for his secret supply of choklit no doubt!) just before the Nativity Play commences later this month. Sigh, always a chancer is that little white furry rascal! Oh well done Pat! I'm really pleased for you, especially as you're such a regular playmate and always have lots of hints and tips in your posts. I do have your address here from a previous win and will get Len to post off your prize as soon as possible. Thankfully I ordered a good few high value and normal stamps on line, plus airmail stickers and customs labels - so if Len digs out the padded envelopes, postal scales etc. and rummages in the toy box for me I ought to be able to sweetheart him into popping the backlog of prizes into the post box at our local Sainsbury's when he's next in the vicinity :) I'm sure he'd do that, not least because the thought of a Post Office at this time of the year brings him out in hives. That's my plan anyhow! Edit on Tuesday: All posted now, yay! The Snippets Challenge will run for one week and the Playground gates will close at 11am UK time on Saturday 19th December. The gates will open again at midnight UK time on the same day. Maximum of three entries and please say in a comment if you wish to play and be a possible winner of the prize. Do say if you only want one or other part of the prize (the stamp or the die) but both are up for grabs as one prize of course and will only be split if the first name out only wants one or other of the items, in which case I'll do a second draw for the other part of the prize. And please also remember to link back to the Playground in your blog post to be eligible for the draw.